We at WFG & The National Campaign have a goal to help 1 million families build a more solid financial foundation by July 4th 2020. 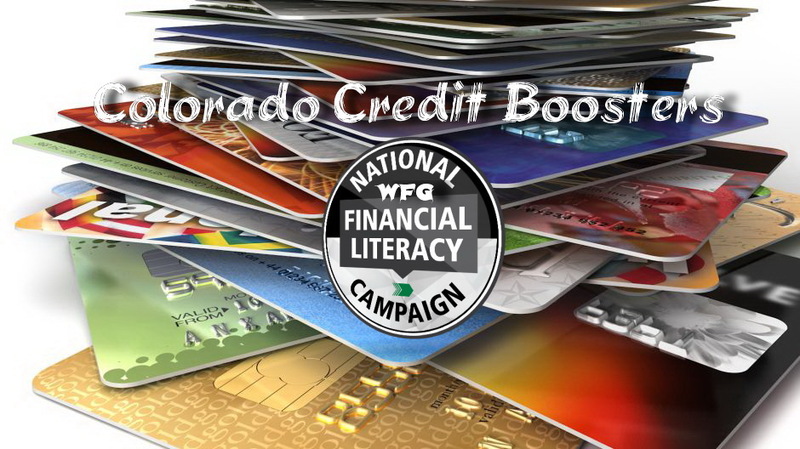 We educate the public about how money really works and how YOU can put it to work for YOU & YOUR FAMILY. Are You In A Hurry To Boost Your Credit? Or Maybe You Don’t Have The Time To Do The Work? Would You Rather Just Have The Professionals At Sterling Credit Group Take Care Of Everything? Please Scroll Down And Watch The Video At The Bottom Of The Page To Learn More. 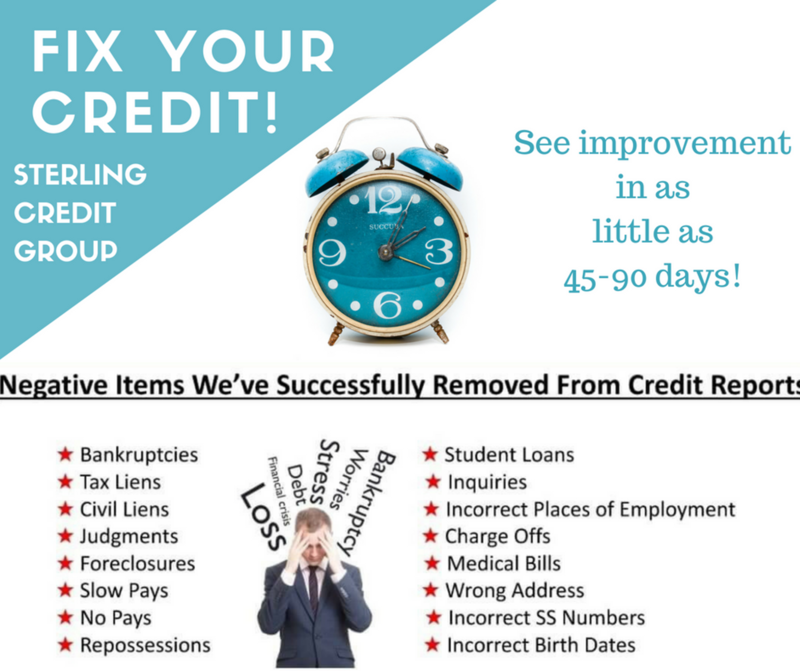 We at Sterling Credit Group are able to remove 85-95% of all negative items from your credit. On average clients see a 120-200 point improvement in the first 48 days. Best results are in 90-180 days. We have a 7 year guarantee if anything we’ve removed comes back on your report for the next 7 years, we take it off for free. The first step is to get you set up in the system. We’ll order all the paperwork from all three bureaus at once. We will be hitting it hard and not wasting time, so it’s important that you get the paperwork faxed/emailed to us each month. The three credit bureaus Experian, Equifax, and Transunion will mail your reports to you each month, and they will look like junk mail. It’s important that for the next year you open all of your mail even if it looks like junk mail. It’s only $79 to start, which is to get you set up in the system with a tracker and to order all three bureau reports. If you get paid on a certain day and would like to have this debited on a certain date you can put that date in. This way you can sign up now, and not worry. You will be able to call us any time to see how the progress is going. Then it’s $60 every two weeks for only six months. We will then continue to repair your credit for another 6 months for no charge. Like I said, we have a 7 year guarantee that if anything we’ve removed from your credit comes back on in the next 7 years we’ll take it off for free. We’re pretty good at what we do, so this has only happened once in the past 18 years we’ve been in business. I will email you an audio file to listen to very carefully. It’s about five minutes long, and it will tell you the next steps and what to expect in the mail.